Bring feedback to your students beyond red pens in the margins! Create feedback loops by using tools you may already be familiar with. 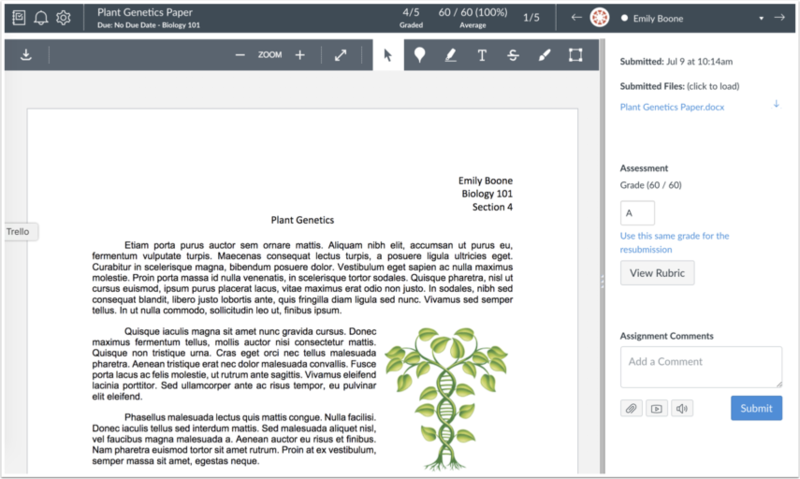 Open and annotate student submissions on Canvas in SpeedGrader – no additional setup is required. SpeedGrader works great on tablet computers. For any assignment submitted electronically, add comments and markup to share your thought process with students. You can refer to specific parts of the document. Furthermore, you can assign a grade using custom and existing rubrics in Canvas, provide comments to individual members for a group assignment, and keep track of which submissions were graded. Canvas Support: How do I access SpeedGrader? Bring this technique to your course on Canvas! Visit the ITT Canvas Resource Page to learn more, schedule trainings, and access self-guided training materials.